mommy's reviews: Mediterranean Snack Food Company Review & Giveaway! Mediterranean Snack Food Company Review & Giveaway! Snacks, snacks and MORE snacks!! I am LOVING this re-occurring theme here on my blog recently...hope you are as well. :) By now, you should all be well aware of the fact that I love snacks and that my goal is to provide my family with healthy snacking options. This week, hubby came home from the grocery store with LOADS of fruits and veggies and we are starting to make some dietary changes in our home. Because I have children, I think it is natural to try and find the easiest and most convenient food and this typically means that we eat a lot of processed foods. Anyone with any kind of sense at all knows that in moderation, this is OK but in excess it can be harmful to your health. My children are so important to me (understatement there) that I am really trying to make better food choices for them. Do they always like my choices? No. But I think that offering them healthier options is a good start in the right direction. That last phrase is key...healthy snack foods need to taste good!! For me, my children don't eat foods that taste bland. That is why I was interested in this company; because they make sure that the food that they create doesn't taste like saw dust!! The first bag that I dove into was the Cucumber Dill Baked Lentil Chips. I LOVE cucumbers and dill is another herb that I enjoy so I was really excited to see how these tasted. Inspired by the lifestyle of the Mediterranean, these and all other products from the Mediterranean Snack Food Company are made with high protein, nutritious lentils, garbanzo and adzuki beans. I wasn't sure I would like a snack made out of beans, but I was pleasantly surprised! These chips pack a huge crispy and crunch punch and would definitely satisfy any snack craving. Then, I tried the Rosemary Baked Lentil Chips and these were very tasty as well! The rosemary herb flavor was very subtle and gave a wonderful undertone to the taste. I enjoyed trying them very much. I have to say that the Sea Salt Lentil Crackers were my favorite though. They were thin and seasoned with just enough sea salt...not too salty at all! My children also really enjoyed these tasty little numbers as well. They made the perfect mid-afternoon snack for them. I have a tough time with garlic right now (due to breast feeding) but did enjoy the Roasted Garlic HummuZ Crispz. They were light and crispy with a nice flavor of garlic...these would make a lovely appetizer for an Italian dinner. Probably one of the best features of these products from Mediterranean Snack Foods is that they are gluten free. I know several people who are on special diets due to gluten intolerance and they always say how hard it is to find snacks that they can eat...that actually taste palatable. I am positive that these snacks would be perfect for anyone who is on a gluten free diet! You can find more information about the Mediterranean Snack Food Company by visiting their Facebook page or by stopping by their website. They also have a store locator on their website that can direct you to a store that carries their products. So, in my opinion...The Mediterranean Snack Food Company offers some really tasty snacking options for you and for your family, even if you have gluten allergies. I am really enjoying the diverse flavors and textures in the snacks I received and I feel great about having such great snacks on hand for my family. Wonderful company and TASTY snacks! Disclaimer: I received no monetary compensation for this post. I did receive Mediterranean Snack Food products for review purposes. All quotes and stock photos are from the Mediterranean Snack Food Company's website and email. Prize is being provided and shipped by the sponsor. All thoughts and opinions are 100% mine. I'd like to try the Veggie Medley Straws. I want to try the original veggie medley chips! I'd like to try the all natural popcorn. I'd love the cucumber dill lentil chips. The Roasted Garlic HummuZ chips sound delicious, too! veggie lentil straws do sound good! Definitely the all natural popcorn as I'm a popcorn fanatic! I would love to try their roasted garlic hummus crisps. Hummus is my favorite! I would love to try the garlic hummus crisps! I'd love to try their All-Natural Popcorn! The rosemary herb crackers look delish! The Olive Tapenade HummuZ Crispz looks amazing and so yummy too! The Roasted Garlic Hummuz Cripz sound delicious! All Natural Popcorn to smuggle into the movie theaters. I want to try the Hummuz Crispz in Olive Tapenade flavor. The roasted garlic crispz sounds great. The cucumber dill sounds great. YUM! I love hot an spicy so the Buffalo Bleu Wingers sound good...with beer! feetandlace at yahoo dot com thanks for the chance! My granddaughter raves about theMediterranean Snacks' Veggie Medley Chips: these do sound good! I'd like to try the Cucumber Dill Chips. The all-natural popcorn sounds delicious! Lentil crisps or veggie medley straws! I would like to try the Veggie Medley Straws. Olive Tapenade HummuZ crispz sound super good! 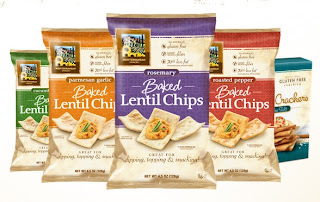 I would love to try the parmesean garlic lentil chips. The roasted garlic hummuz crispz would be awesome. Olive Tapenade HummuZ crispz sound awesome!! The Parmesan Garlic chips sound delicious! I would like the veggie medley! The all natural popcorn sounds so good! Veggie Medley Straws sound good. i want to try the no bull barbeque wingers! Id love to try The All Natural Popcorn! 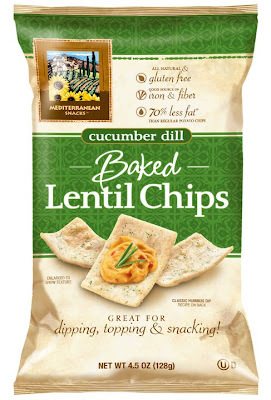 I'd love to try their Cucumber Dill Baked Lentil Chips! The Veggie Medley Straws would be my item of choice! Veggie Medley Straws would be my item of choice! I would like to try the all natural popcorn. I'd try the Garlic Parmasean lentil chips. Olive Tapenade HummuZ crispz would be my choice. I'd like to try Olive Tapenade HummuZ crispz. Cucumber Dill Baked Lentil Chips. I would like to try their All Natural Popcorn. I'd try the Buffalo Nickel WINGERS!